Employees are the heart of Old Dominion (OD). We know they are critical to our success and vitally important to maintaining quality service for our customers. The OD Family Spirit - the family culture that guides our Company - is a key factor that sets us apart. The OD Family Spirit encourages employees to strive to do better and exceed customers' expectations. Our culture of caring attracts employees to OD and motivates them to make their career here. We believe this is a key factor in keeping our team engaged, as evidenced by our driver turnover rate of less than 10%. Competitive Benefits: OD provides a strong benefit package that includes health care insurance, where our employee-only plan requires no additional premium, dental insurance, vision insurance, Company-paid life insurance, paid time off, a birthday holiday, Company-paid holidays, family medical leave, and a 401(k) with a Company match and the opportunity for a further additional Company discretionary match. Wellness Program: The Employee Wellness program also provides annual medical screenings and health fairs to help keep employees healthy, free or discounted gym memberships, free weight loss and smoking cessation programs, a healthy pregnancy program with incentives, and an Employee Assistance program. Our "Driving Your Health Forward" program includes more than 90 employee wellness champions who encourage and lead various initiatives to help our team of employees live a healthy lifestyle. One program in 2018 resulted in OD employees collectively losing over 12,000 pounds. Work / Life Balance: OD understands that a work / life balance is important to our employees. We have consistently improved our paid time off benefits for all OD employees, which allows us to retain and recruit quality employees. Our dispatch schedules help ensure that more than 95% of OD drivers are back home every day. We are focused on providing opportunities for our employees' advancement. 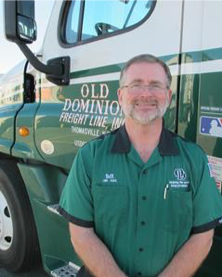 Since 1988, we have provided an opportunity for qualified employees to become drivers through the "Old Dominion Truck Driver Training Program." Truck Driver Training Program (Dock to Driver): There are currently over 3,000 active drivers who have successfully completed this training, which was approximately 29% of OD's driver workforce at the end of 2018. We believe this driver training and our qualification programs have been important factors in improving safety records and retaining qualified drivers. 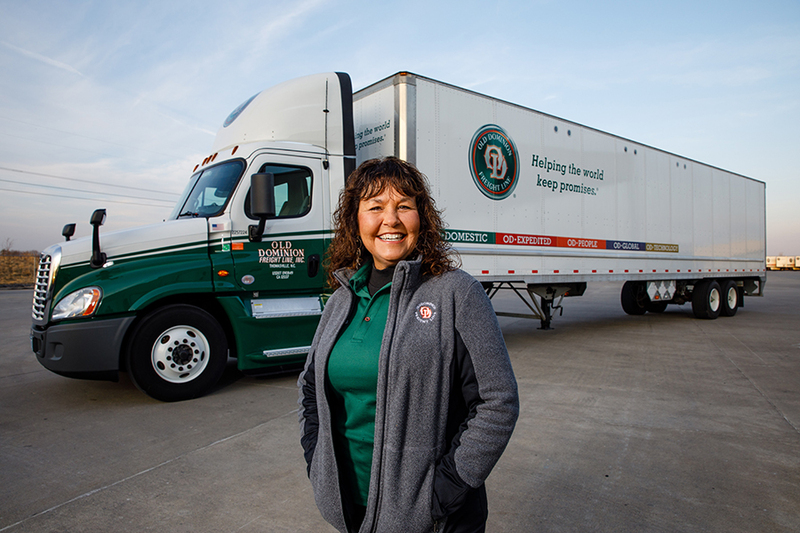 Low Turnover Rate: The OD Family Spirit truly sets us apart from our competitors and is also a major reason why we enjoy an industry leading driver turnover rate. In fact, our driver turnover rate consistently trends below the national average of 10% in the LTL industry, according to the American Trucking Associations. Management Training: We also offer robust Supervisor Training and Management Training programs to identify and develop future leaders of our organization. ASE Certification: We believe we are the only LTL carrier that provides a National Institute for Automotive Service Excellence (ASE)-certified training program. We also offer ASE Maintenance Training for employees. Employee recognition has always been an important part of our culture, and we regularly recognize team members with a number of internal programs. Service 2.OD is our operating philosophy that encourages OD employees to go over and above and provide outstanding service in support of the customer - both internally and externally. 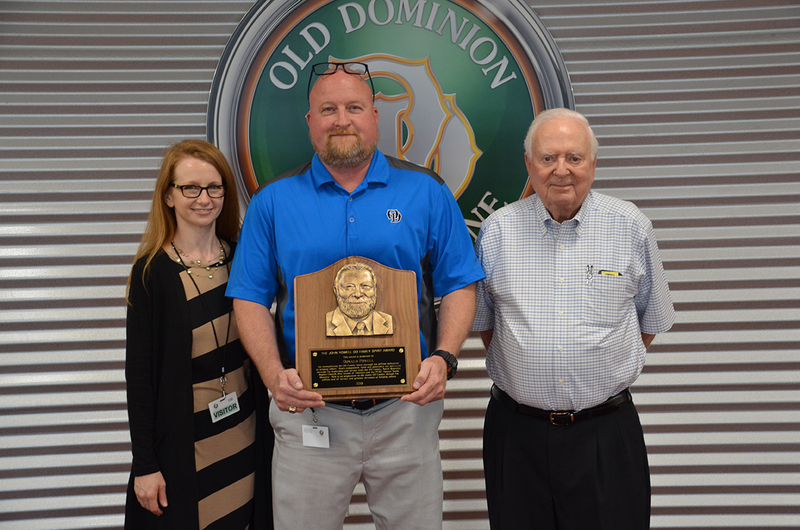 The annual John B. Yowell OD Family Spirit Award recognizes one of our employees who embodies the OD Family Spirit through selfless dedication to helping others. Service Awards are another way in which OD recognizes the dedication and loyalty of our employees by recognizing their years of service. OD also rewards its drivers with our annual Safe Driving Awards and bonuses of up to $3,000 per driver. The safety bonuses paid to drivers totaled $4.1 million, $3.9 million and $3.7 million in 2018, 2017 and 2016, respectively. OD's Open-Door Policy means that our management team is committed to open communication with all employees. If an employee has a problem, complaint, suggestion, idea or simply an observation, they may reach out to any member of management without fear of retaliation. By working together, we work to provide innovative solutions to help ensure the continued success of OD and our Family of employees. We are an Equal Opportunity and Affirmative Action Employer. For the full Old Dominion Employment Practices policy, click here. To see the Old Dominion Code of Business Conduct, click here. Company employees and directors are expected to conduct themselves at all times in a manner that prevents and avoids harassment and report such conduct to management. A detailed contact list for members of senior management is posted at all service centers. Employees may also utilize the Old Dominion Ethics and Compliance Helpline at 1-877-237-8195 to report violations of OD's Code of Business Conduct, laws, or Company policies. OD was recognized by Forbes in 2018 as one of the Global 2000 World's Best Employers. OD was the only company in the trucking category to earn a place on the Global 2000 list. OD supports basic human rights throughout our business enterprise and prohibits the use of child, compulsory or forced labor. Company employees are strictly prohibited from using Company equipment to transport, or Company facilities to shelter, unauthorized persons, or to take any other act in support of human trafficking or human rights abuses. Company employees are required to immediately report any human trafficking concerns to the appropriate law enforcement agency(ies). OD provides annual training for drivers on reporting suspicious activity observed on the job, including child labor, forced labor, exploitation or trafficking. All trailers, loaded or empty, are padlocked while being transported and all drivers are made aware of OD's "No Rider" policy in tractors. Over 95% of OD drivers are home at some point during the day, and the majority of fuel is from our OD service centers, which reduces the frequency that our drivers are stopping at locations other than OD service centers. OD helps drive leadership in the transportation industry through membership in important trade organizations. We are members of national organizations, as well as various state trucking associations and many state and local chambers of commerce, where we provide guidance, experience, and leadership with respect to industry needs and issues. Premium quality service is what sets us apart. OD's premium service and low claims ratio are the result of painstaking efforts by our employees. The OD total quality management training program, "The Power of the Promise," helps ensure that all employees are proactive, service-minded and customer-centric. As a result, Old Dominion has been recognized as the top National LTL carrier for quality by Mastio + Company for an unprecedented nine consecutive years. At OD, quality is not a stand-alone function; it is integrated into the way we operate our business and in every decision we make for the future. We celebrate achievements in quality through the Service 2.OD awards, where employees are recognized for going above and beyond on a monthly or quarterly basis. We also encourage employee skill development by celebrating skills-based training, exhibitions and supporting internal and external competitions to continuously improve operational skills and recognize employees. 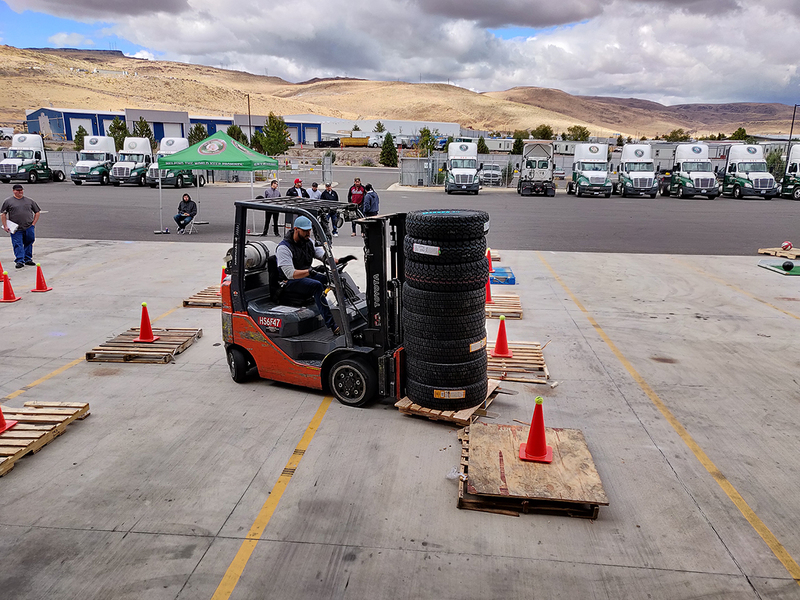 OD often holds forklift rodeos and participates in state and national truck driving and maintenance technician competitions sponsored by industry associations. Linehaul truck driver Bill Goins was named to ATA's 2019-2020 America's Road Team, a select group of truck drivers who share superior driving skills, remarkable safety records, and a strong desire to spread the word about safety on the highway. After a rigorous selection process, Mr. Goins was selected out of 34 finalists to join the team of 18 representatives. Mr. Goins was also recognized by OD with the 2016 John B. Yowell OD Family Spirit Award. OD has long supported America's Road Team, and Mr. Goins is the 5th OD Driver to be named an America's Road Team Captain.